Home > HOME > 1A- THE FASHION MOGUL PACKAGE - 10 ITEMS TOTAL (DIGITAL FASHION PRO V9 INDUSTRY CLOTHING DESIGN SOFTWARE + CLOTHING LINE BUSINESS PACK. GO FROM ASPIRING FASHION DESIGNER TO A PROFESSIONAL CLOTHING LINE! 1A- THE FASHION MOGUL PACKAGE - 10 ITEMS TOTAL (DIGITAL FASHION PRO V9 INDUSTRY CLOTHING DESIGN SOFTWARE + CLOTHING LINE BUSINESS PACK. 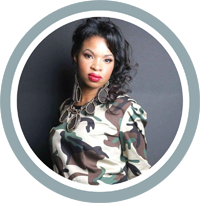 GO FROM ASPIRING FASHION DESIGNER TO A PROFESSIONAL CLOTHING LINE! Launch Your Line and Give it the Competitive Edge With The Fashion Mogul Package - 10 Items! The Know How to Start Your Line + The Tools to Design It & The Contacts to Make It! 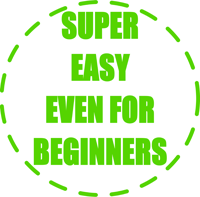 This is Our #1 Package for beginners just starting out who want their own line! On Sale Today For $475 During Our Super Sale Today! Save Over 45% Off Regular Price of $1248! Order Now to Save Big! Want to Divide Up Payment into Up to 6 Payments? Order and Select Paypal Bill Me Later Option During Checkout. This is the Package that helps Aspiring Fashion Designers Turn Their Idea Into A Professional Clothing Line! This Course Will Give You Insider Clothing Line Tips That Will Help You to Make Your Line A Success. It Packs 15+ Years of Direct Fashion Industry Experience From the Small Start-Up Clothing Line Perspective With Goals To Become A Global Fashion Brand. Plus you get Digital Fashion Pro Industry Edition Fashion Design Software so that you can easily design your own clothing line! Full Detailed Step by Step Guide To Starting A Clothing Line From Scratch . Digital Fashion Pro Industry Edition Software to Design Your Fashion Line . List of Manufacturers to Make Your Line - All Included! Jump Start Your Fashion Label With The Fashion Mogul Package Today! 10 Items For How to Start Your Own Clothing, Software to Design Your Clothing Sketches, Clothing Manufacturers List of companies that can make your clothing line and tools to create your own spec sheets! + Much More! This package will help you develop your own clothing line in every area from starting it, designing it, getting it made and sold in stores. You may not know anything about the fashion industry or designing but after getting this package - you will be able to hang with the best of them. This package will help you go from being an aspiring fashion designer with just an idea to creating your own professional fashion designs and professional clothing line with confidence! You don't even have to no how to draw to use your fashion design system. This package gives you a simplified yet highly effective approach to creating your own clothing line. It will take you step by step through the process giving you expert advice, industry best practices and real work insight. You will be extremely satisfied with yourself for making this investment in yourself and your vision. * We are a US Based Company but we have clients using our products in over 50 countries including USA, UK, Canada, Australia, France, Italy, Denmark, South Africa, Belgium, Norway, Spain and Beyond! The Fashion Mogul Package is easy to use and can be used by anyone in the world. Order today during our One Day Super Sale! We guarantee this package will 100% help you launch your own clothing line! Tailor Made For Beginners! This has been our mission since 2004 when we started StartingAClothingLine.com. You can trust us to deliver! You can design in each one of these categories with this totally awesome package! This package can help you put together a complete business plan for your clothing line + ability to showcase your designs to potential investors if that is your goal. How The Fashion Mogul Package Will Help You Excel! Starting your own clothing line is not an easy task. There are many things things to consider when starting out. It is important that you take the right steps and build a solid foundation so your clothing line can flourish. We are sure you want your clothing line to be successful which is why it is important to get all of the information you can so you can make the right decisions. Give your line a chance to get big like some of the big names in fashion like Michael Kors, Sean John, Tom Ford, Diane Von Furstenberg and Alice + Olivia by utilizing all of the information and tools in the Fashion Mogul Package! It was created to not only guide aspiring fashion designers and clothing lines through the entire process but also give them the edge in the competitive world of fashion. This is why we created the Fashion Mogul Package. It comes with the main essentials you will need to not only start your line the right way, but also software to design your clothing and clothing manufacturing contacts that can make your clothing samples and your production. We also know that mass producing small quantities is something most new fashion start-ups need which is why we also teach you how to approach clothing manufacturers and get them to make the quantities you need. This package also comes with a list of over 400 Clothing Manufacturers from around the world on our HA Ultimate Fashion Contact List. This list is filled with manufacturers that can make your clothing line. The Fashion Mogul Package is the ultimate fashion design package. It will walk you through how to start a clothing line, design it, get it made and in stores. You get Digital Fashion Pro Industry Edition Fashion Design Software so you can design pretty much any clothing style you want. You will be able to create professional fashion sketches in a format that manufacturers understand and can work with. You can also create your own look books, portfolios, catalog images and more. You could even design clothing for other people. Plus did you know that Digital Fashion Pro fashion design software program is used by countless fashion designers, professionals, schools, companies, aspiring fashion designers and beginners around the world. The Fashion Mogul Package also comes with the resources so that you can learn and create your own technical garment packs. You can then transmit your designs and specifications to manufacturers via email or fax. For help with garment measurements, see the Specification Book we offer here on our website. What is a garment tech pack you may ask? Don't worry, this package will show you exactly what it is and gives you the tools to create it. All in all, this package will help you excel in the fashion business. It will also help you cut cost and potentially save you a lot of money. Learn more about The Fashion Mogul Package and what all comes in it below. This package is a truly savvy investment that will take you a long way! Need financing for your clothing line? Read The Secret to Raising Money to Start a Clothing Line. 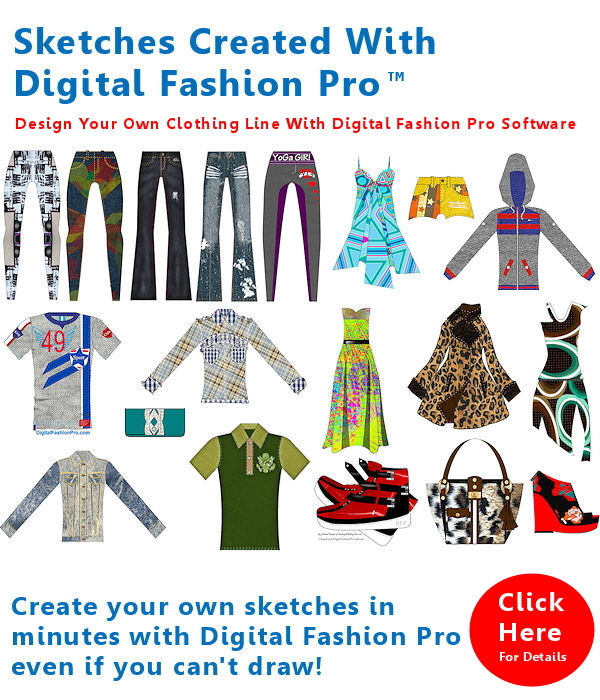 Digital Fashion Pro Industry Edition Fashion Design Software to design all of your clothing sketches with like jeans, dresses, coats, t-shirts, hats, shoes, swimwear, lingerie, sweaters, skirts, handbags and more! This package consist of Digital Fashion Pro Basic + 6 Upgrades. 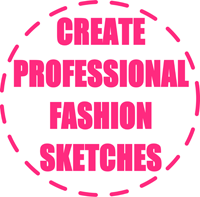 Creating you own professional fashion sketches has never been easier even if you have no experience and you can't draw! * See Digital Fashion Pro Official Page Here to Learn More About It. + Clothing Line Business Pack - 3 Items (Official Step by Step Guide to Starting a Clothing Line Course, Fashion Business Center + The Clothing Manufacturers and Fashion Supplier Contact List eBook + Digital Fabric Pack X. These 3 items can help you start your own clothing line effectively giving you step by step details on the process. Plus you get 500 clothing manufacturers that can make your line + spec sheets so that you can transmit your designs to manufacturers. Official Step by Step Guide to Starting A Clothing Line Book, Fashion Business Center, Ultimate Fashion Contact List of Manufacturers eBook & Fashion Business Center. This product comes with fashion spec sheet templates, grading sheet templates, clothing line business plan tools and more. It helps you run your clothing line more effectively. Spec sheets are needed to give to your manufacturer to get your line made. Helps you establish what your budget should be and more. Order Today - This item ships in 3 business days or less via USPS. You will receive a tracking number on the day your order ships. How fast it gets to you depends on which delivery method you select during checkout. Note: Use your credit card billing address during checkout as that is the only address we can ship to. Orders processed with Secure SSL Protection. Order safely with confidence. When you order from us - you are ordering from a trusted company that has been around since 2004. We look forward to serving you. "I am loving this program and it is quite easy to use. I am thrilled and so excited to have my designs come to life! The information I received from your book "How to start a Clothing Line" proved to be so valuable to me as I was able to save so much time and it really prevented me from making costly mistakes. I am off to Indonesia in November to tour the factory where I will have my clothing made. BRAVO to you guys for making my dreams come true! A fashion designer is born!!!" "I love your software and recommend it any chance I get. You were my life saver and self-esteem. You helped me make my freelance designs a success. THANK YOU FOR REMEMBERING THOSE WHO JUST CAN'T GO TO THE FASHION SCHOOLS and giving us the same opportunity to be just as good and successful by using your software." "Was so excited when I received your programmes! As a small fashion business, anything that helps make the process of working from an idea to designing, then producing, makes the whole experience even more enjoyable. Your programs are helping me achieve my goals!" "Thank you so much for creating the Digital Fashion Pro software! It has been a joy to work with...!!" "I had my line set up already but I felt like there was so much I didn't know so I bought your Mogul Package. I learned a lot of things I had no idea about. I now have a better understanding of the fashion industry as it relates to running a clothing line." 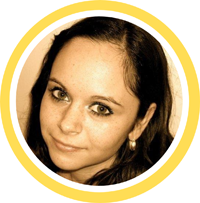 "Investing in Digital Fashion Pro was one of the best things I did. It has exceeded my expectations! I have been able to advance my menswear designs and I am working on my portfolio then I will work on my own line. What I like the most is that I was new to fashion but your software has made me feel like I have been designing for years..."
This Package is Super Easy To Use Even If You Have No Prior Fashion Experience! This is a great package for the designer or beginner that is very serious about wanting their clothing line to succeed. It contains a wealth of insider fashion industry information. It covers how to create a clothing line business plans, how to create technical sketches and spec sheets. It has clothing manufacturers and factories to make your line. It teaches you about the fashion design process and how to get your samples made for almost free and much more. The price of this package is a steal! Just the things you will learn that will save you money while starting and running your line alone will make this package pay for itself many times over. 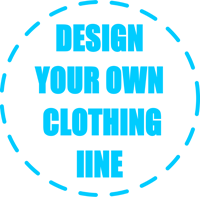 The fact that you won't have to call a designer to create your clothing designs will save you money as well. But You Get All Of These Items For One Low Price Today During Our Super Sale! To see each item in this package individually - Click Here. * Men, Women, Baby and Kid's Clothing. Shoes, Hats, Handbags and more! Digital Fashion Pro V9 is a powerful CAD Fashion Design Software System for today's professional and aspiring designers who want a program that can design cutting edge designs and fashion sketches without limitations at a great price. Digital Fashion Pro is SUPER EASY TO USE plus it delivers professional fashion illustrations that are above & beyond industry standards. Digital Fashion Pro is used by hundreds of schools, companies, designers & beginners around the world. To see links to Digital Fashion Pro Videos, Sketch Galleries and more information - Visit Official Page. You Get The Official Step by Step Guide to Starting a Clothing Line Course 4th Edition! The Official Step by Step Guide to Starting a Clothing Line Course - 4th Edition is even more powerful! It is now 3 Books In One, designed to give you everything you need to tackle launching your own line in one source! It contains the original Step by Step Guide to Starting A Clothing Book + The Reality of Owning and Operating Your Own Clothing Line + How to Effectively Sell Your Clothing Line to Retailers! This course is actually taught in many schools and have helped countless designers around the world break into the fashion business. What is factoring and how to get it? Get all of this and more for a great low price! 233 pages of great information and tips! Need a payment plan? When checking out, use the Paypal option then select their Bill Me Later / Paypal Credit Option. You can then make 4 or 5 payments to pay off this purchase. Using this service is fast and easy and most people are approved. To use Digital Fashion Pro Clothing Design Software you need any Windows System ( XP, Vista, 7, 8, 8.1, 10 ) with at least 2 GB Ram and 8 free GB of hard disk space. If you have an Apple Computer – Mac Requirements are OS 10.7 or Higher. Detailed System Requirements Here. Hi I'm in the military, I been in for eight years. My first duty station was in San Diego, Ca where I began to have interest in fashion design. I set up an appointment to visit the fashion school there. I did a tour at the school and was thrilled with the designs. I was going to take classes but the adviser said it would be better to attend the school after I finished my contract in the Navy. 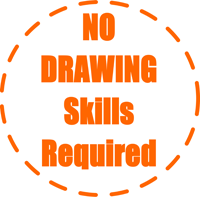 I decided to stay in the Navy but still had the desire to start my on clothing line so I begin searching for fashion design software on the internet because my drawing skills was not great and StartingACothingline.com website came up. I went to the website and I was a little skeptical at first then after about six months I decided to try it. I ordered the Design Basic Pro and three upgrade package first. Loved the software and decided to order six more upgrades. I think you can tell by my orders that I am really enjoying the software. The tutorials were on point and the instructor explained it in easy to understand terms; he did an excellent job! I don't have a set style or certain type of clothes that I want to design yet so I'm just exploring the different types of clothing templates and figuring out what really describes me as a designer. I would recommend this to a friend and I give it four stars. 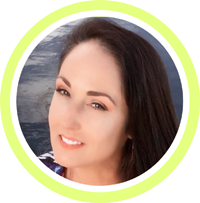 "Hi my name is Andrea W.
My husband ordered Digital Fashion Pro for me, as we want to try and start a small clothing line to see how it goes. I have been to Fashion School many years ago and have always done my designs (not for the fashion industry, for myself) using pencil, paper colored pencils, rapidographs and so on, as well as using "croquis." I love to tinker with new softwares, but this has "blown me away"! I starting playing around with the software and templates, right out of the box, just to get a feel for it and I have to say, that it has made my life in designing so much easier and I'm astonished at the different manipulations I can do with a template, the software is very easy to understand and it's truly amazing! I love it! I haven't watched the videos completely, but when I get stuck as to how to manipulate a pattern or color or sizing, I then refer to the tutorials and video and it's so easy to find exactly the topic I'm looking for. Thank you Harper Arrington Publishing and to all the people involved in developing this fantastic software!" Thank you for the tutorials! I'm so happy. and it was easy too. When I did it a couple of times I was psyched. I stayed up all night making different T-shirts. Thanks a whole lot and keep up the good work. My designing has picked up a few notches as a result of using Digital Fashion Pro. I would definitely recommend it to anyone who wants their designs to look flawless. 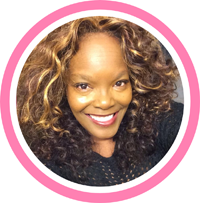 After using Digital Fashion Pro, I realized that Harper Arrington has just made life for me easier! Im in love with this product. Thanks guys! I've used a few other fashion design programs and none are even in the same league with Digital Fashion Pro. I honestly don't know why you guys are selling at such a great price. Digital Fashion Pro is a dream come true for me. Ive always wanted to design but sketching wasnt my strong point. After using Digital Fashion Pro over the course of 2 months, I became super good at it. I was surprised myself at how my designs were looking. I love the feedback I have been getting as well! Thanks Harper Arrington. FYI: Your purchase could be 100% tax deductible as a business expense if you already have a business on record or if you start your fashion business this year! If you don’t have a business or D.B.A. yet don’t fret - the How to Start a Clothing Line Course will show you exactly how to get things set up! Therefore, you have nothing to lose but everything to gain! Kick off your fashion career today!